A few months ago, my lovely friend Nicole told me she was coming to Europe – specifically to Spain. This was of course very exciting because she would be super close and we could catch up together. The last time I saw Nicole we were exploring Oslo together and we had such a great time, she’s one of my favourite people to travel with: so calm, friendly and happy to take a chance. Not long after giving me some vague details about her plans, she asked if Tom and I would be interested in doing a bike tour, to which we responded with a healthy “YES PLEASE”. 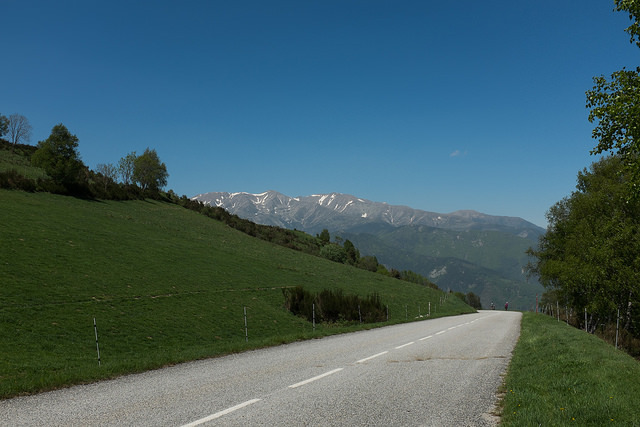 After looking at a few route options, Nicole suggested the Pirinexus Ruta and that’s how we found ourselves cycling through the Pyrénées from Spain to France in May. We decided not to plan too much, just pick out our general route and then arrange accommodation along the way. Nicole waited for us in Girona where she picked up her hire bike after a few days in Barcelona. We spent most of the day trying to get onto local trains from Montpellier to Girona – very stressful, but we made it in the end! We stayed overnight in Girona right before the yearly Flower Festival kicked off – the city was awash in blooming installations. From Girona we headed north west and stayed the first night just outside a village called Les Planes d’Hostoles. The second night was spent near Olot at a 14th century farmhouse. Our third day we rode to Camprodon over some pretty rough roads, but on the fourth day we hit the peak of our tour at Coll d’Ares on the Spain-France border. 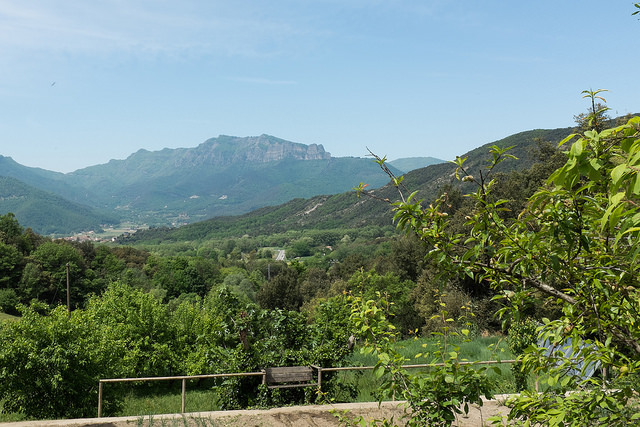 From here we descended into Prats-de-Mollo la Preste and then the day after to Le Boulou. From Le Boulou we deviated from the circular route and headed towards the train station at Argelès-sur-Mer where we split up: Tom and I to return to Montpellier and Nicole to return her bike in Girona then on to San Sebastien and continue her holiday. We had great weather, and the track on the Spanish side was particularly good. From the French border, there was a lot more riding on roads, but overall it was wonderful. I’d definitely recommend the Pirinexus for anyone looking for a cycling challenge, and mid-late Spring is a great time to do it! You can see more photos from the trip in the flickr album here.